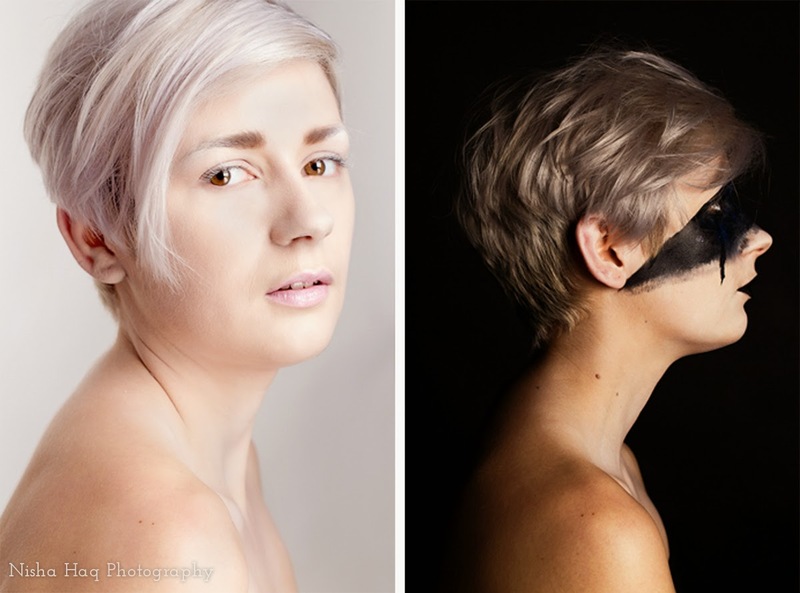 Beautiful Rosie Rothewell modelling a contrasting hair and make up styles as if it's good vs evil aesthetic. Photographed for Hair & Make up artist, Emma Skelton for her final university project at Southampton Solent and was a pleasure to work with them both. These images were my favourite from the shoot especially side by side. I love her bare shoulders which shows off her great profile. Love experimenting with different hair and make up styles especially in the studio and playing with different lighting.